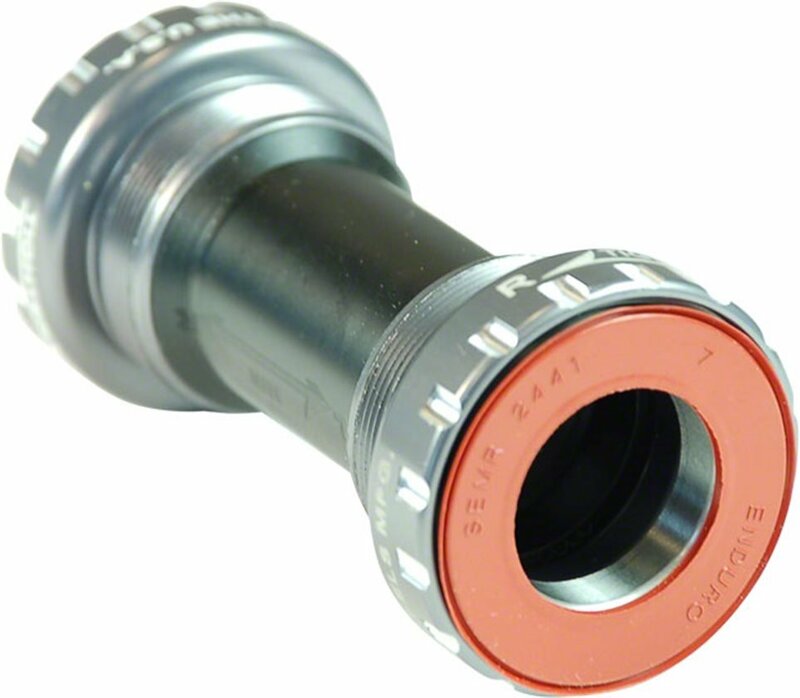 Just because you've got a threaded bottom bracket shell, it doesn't mean you can't have an awesome bottom bracket. The Wheels MFG BSA Road 68mm Bottom Bracket probably works for you. You get a CNC-machined aluminum shell for precise bearing alignment and frame fit. No creaking here! Inside are replaceable Enduro bearings. That's what all those PRO Tour teams are running. You also get replacement dust covers and seals. No worries. And a 2 year warranty. Yeah, no worries. SRAM BBs are compatible with TruVativ GXP cranks. Shimano BBs use Shimano Hollowtech II or FSA MegaExo cranks.